Look what arrived yesterday for me!!! 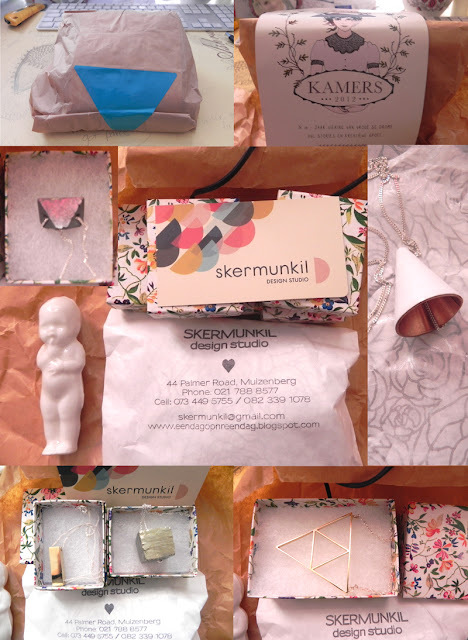 It is my amazing stash of SKERMUNKIL treats, I am besotted with each and every one. Now I need a better wardrobe to match these beauties. Marietjie, you rock!